Students move to a different classroom after each period. That keeps them fresh right till the end of the day. It also gives them a change after each period as each classroom has a different ambience. Variety and difficulty of questions is considered and a sample of each kind is solved in the class. Portion is pulled down by a year. Different treatment is given to different chapters to reduce the burden of the children. We started with the lighting of the lamp and inaugurated the carnival. This was done by our regional director, Mr. Girish Dangat and Mr. Rajesh Dangat. The welcome speech was made in the Sanskrit language by Riya Marathe of the 5th standard. At this time we also announced our second school in Fursungi (near Hadapsar). 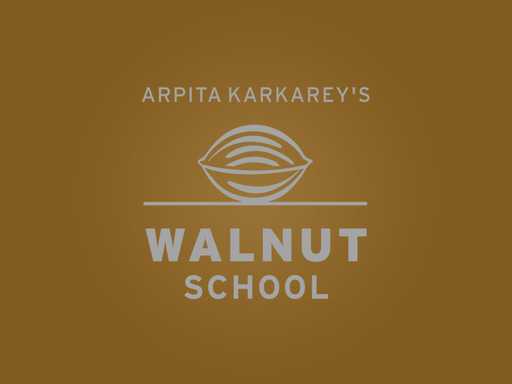 We were happy to share this with Team Walnut. Our parents give us our strength, our students give us confidence and our staff gives us the ability to move on. So, this was the first official announcement of our new school and we wanted it to be to our students, staff and parents. Mr. Sameer Tupe, who is the regional director of the Fursungi School had also come to the carnival. Soon after the inauguration we got ready for the parade. This year’s theme was “महाराष्ट्राची दैवते”. It started with the 5thstandard performing सूर निरागस हो which is a prayer to Lord Ganesha. Then the 1st and 2nd standard students performed to खेळ मांडला and माउली माउली which is a prayer to Lord Vitthal. The students of 3rd, 4th and 5th then performed to मल्हार वारी and उदे ग अंबे उदे which is a prayer to Goddess Amba. It ended with the goddess killing the demon! After that was a lezim performance followed by Shivaji Maharaj dressed in his royal finery riding a horse. There was the special dhol taasha salute that is played only for Shivaji Maharaj to conclude the parade. A special mention of thanks to the Prabodhan Dhol Tasha group. They really added a punch to the parade ending. 200 children from Primary performed in the parade. It was really an amazing spectacle to watch! 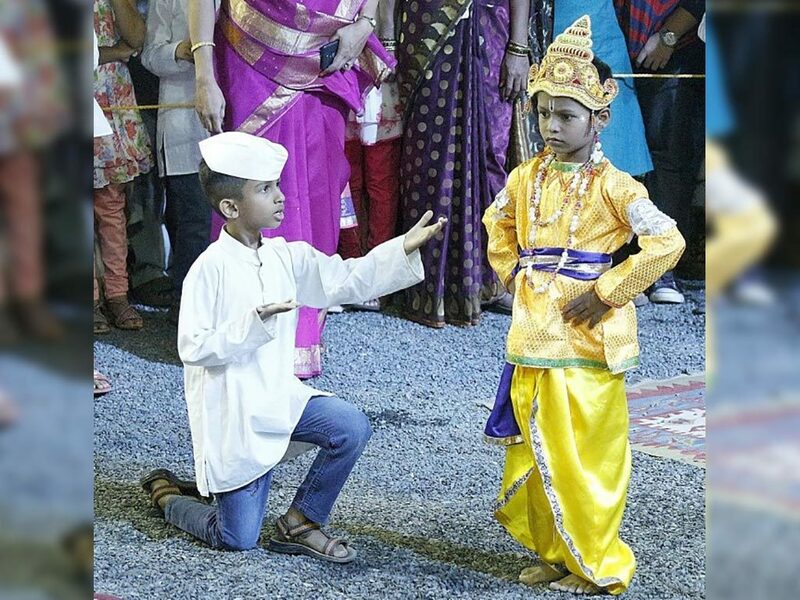 The kids loved dancing for the audience and were going on tirelessly. Given a chance, seemed like they could dance all night! Many parents helped a lot with the people management. They cleared the area for the children to dance in and managed the crowd very smoothly. A big shout out to the whole group. We couldn’t have done it so well without your support! Our invitation had a ‘dress code’ and we were happy to see everyone following it! So many mothers and fathers came truly traditionally dressed. The first thing that comes to mind is the nauvari saree. We had so many mothers who turned up in the original Marathi attire! They all looked so pretty. We had a few photo sessions with them. It was really fun. Some fathers had come in proper traditional attire too! There were also some families decked up in other traditional dresses from all over India – we had dresses from Kerala, Rajasthan, Gujarat and Kashmir too. Hats off to the enthusiasm of the parents. They helped with killas, they came dressed up and were asking us if they could have a slot in the gathering too! Looking at the energy, doesn’t seem like a bad idea at all. As we closed the carnival we had prizes for the best dressed mother and the best dressed father. Since there were so many who were so wonderfully attired, we couldn’t restrict it to just one. We gave out four prizes in each group. As we were doing so we wish we were ready with many many more! Next year we’ll make sure to be better prepared on this front! Everyone seemed to have a good time at the carnival. We had a lot of guests who were very impressed with the function and the general co-ordination between the staff, students and parents. Looking at the rapport that everyone had with each other, it was hard to believe that it was the first year of this school and we were just half way into the year. But, if this is how we start off, it will only keep getting better, won’t it?